The Irish Defence Forces Artillery Corps was formally established in Islandbridge Barracks, Dublin on 23 March 1923. The establishment of the Artillery Club was authorised by the military authorities in 1972. To date, the Club has had seventeen Presidents – the first holder of the chain of office was Lieutenant-Colonel J.P. Kane, Officer Commanding 4 Field Artillery Regiment. The Club refrains from any political activity. 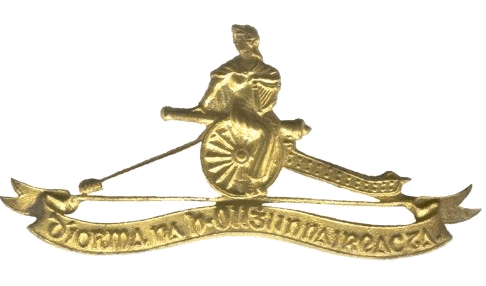 The main objective of the Artillery Club is to focus on its mission and maintain, promote and foster the Artillery Corps unique legacy and solidarity, distinctive customs and traditions, lasting ethos, valuable fellowship and the bond of camaraderie. The Club provides opportunities for implied activities arising from its mission. The Artillery Club provides a focal point for remembrance and comradeship, both of which are vital for the cohesiveness and operationality of the Artillery School and the Regiments of the Artillery Corps. The Artillery Club promotes the study of military history associated with Field Artillery, Air Defence Artillery and Cost Defence Artillery, circulates appropriate publications and information. The Artillery Club supports military and regimental museums, in the maintenance and display of Artillery weapons, equipment, material and artefacts. The Artillery Club promotes effective and efficient liaison and mutual support between other Corps Clubs. 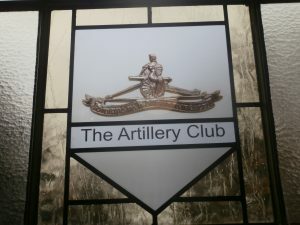 Finally, the Artillery Club facilitates a networking environment throughout Ireland, enabling serving and former commissioned officers of the Artillery Corps to maintain a lasting bond with colleagues, coupled with retaining contact with their parent Regiments, the Artillery School, and by extension the Corps.